If you type in Wedding Bands Sydney into google you will be overwhelmed with the number of options that come up. It’s a competitive industry because weddings are a big part of Sydney. It’s such a beautiful city and to get married in a place like Sydney is a real privilege. Therefore to survive as a wedding band you need to be really good. You need to understand the venues, work with other service providers, have a diverse cross-generational repertoire, and be professional. 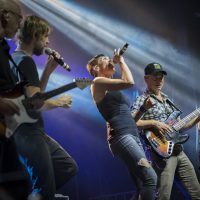 It’s those qualities that have made our Big Thanks Band one of the most successful in Sydney. 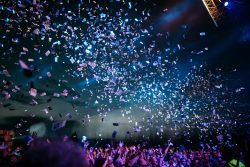 Repertoire is one of the most critically important assets to creating a successful musical atmosphere at a wedding. The repertoire needs to be diverse because weddings are, by their very nature, cross-generational. You will have young children, young adults, middle-aged, and elderly people at a wedding. The band needs to select songs that will keep everyone on the dance floor. 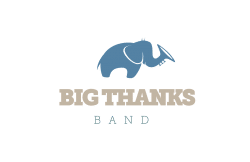 The Big Thanks Band uses current modern hits, old classics, rock, funk, and jazz to fill our repertoire. We have become experts at reading the crowd on the day and choosing songs that we feel will work best for the crowd. That’s not to say that we don’t accept guidance from the special couple, but it is an art form to “read-the-room” and select songs we feel are most likely to get everyone going. 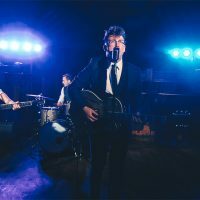 Wedding Bands Sydney Songs like “My Girl”, “Stand by me”, “Valerie”, “Uptown Funk”, “Happy”, “Fly Me to the Moon”, and “Blame it On the Boogie” are guaranteed to keep the dance floor pumping. The key is repertoire breadth, flexibility and diversity. 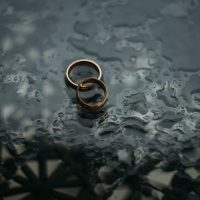 The other thing you will find when you google Wedding Bands Sydney is agencies that hire out wedding bands. Some agencies will allow you to choose your singer but not the whole band. However, this is not sufficient to ensure that the band will sound amazing on the night of you wedding. The drummer, bass player, piano player, and guitarist are all equally important in a band. They must play together often to ensure they play as a unit. Our Big Thanks Band is not an agency. We focus on playing together and becoming increasingly tight as musical ensemble. This increases the quality of the performance at your wedding reception. To learn more about the Big Thanks Band contact us here or call us on 0408 300 402.